Wei Miin loves the sweat life. Her passion for Pilates was ignited back when she was a digital marketing professional and was struggling with back pains and shoulder aches from long hours bound in front of a screen. Despite being physically active, her work took a toll on her posture and it was only with Pilates that she was able to be attuned with her core on a deeper level. Since experiencing Joseph Pilates' various invention from reformer to chair and cadillac, she has learned to combine Pilates with anatomy knowledge to help herself regain body awareness and the freedom of daily living without pain. She has now devoted her career to helping others experience the same freedom and control. 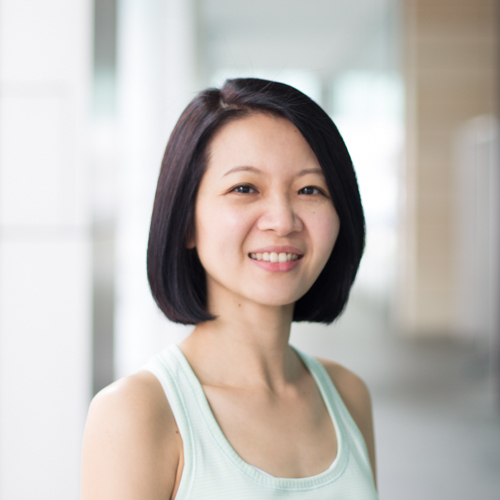 Wei Miin is a certified STOTT PILATES® instructor in all equipment with various certifications from The Center for Women’s Fitness, including Support your Floor, Pre and Postnatal Pilates Specialist and Diastasis Recti Recovery.